For the last 14 years, in addition to evaluating patients at the Rush Memory Clinic, I have been the “MD in the Field” for many of our community based participatory research studies conducted at the Rush Alzheimer’s Disease Center and the Rush Institute for Aging in Chicago, Illinois. Over the years performing study related home visits or community presentations, I have been asked by study participants, their family members and neighbors, to provide comments and interpretations on the latest “memory” and Alzheimer’s disease (AD) research studies on women and minorities. In this monthly blog post, I will focus on (1) women and minority specific health issues as they relate to cognitive health and Alzheimer’s disease, (2) answer questions that are routinely asked of me by patients and community study participants about their cognitive concerns, and (3) highlight the latest cognitive and AD research findings on women and minorities. 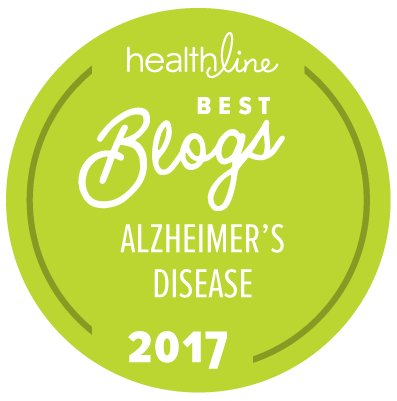 Today’s post will focus on Women and Alzheimer’s disease. It is rare that a day in the field goes by without a woman participant or family member asking me about the latest in “memory” research as it relates to women. The specific question is: “Do women get Alzheimer’s disease more than men?” I don’t find this question surprising as the majority of clinical patients I diagnose with AD, or examine in our clinical trials or cognitive research studies, “just happen” to be women. So, here are a few general facts that you may want to remember the next time you read or hear about research regarding women and Alzheimer’s disease. 1) The population is aging in the United States (and across most of the world) with dementia rates doubling every five years after the age of 65. The most rapid increase will be in those older than 85 years of age, a group that is commonly called the “oldest old.” It is projected based on these trends that the occurrence of AD dementia will increase — nearly tripling by 2050. 2) The average life expectancy is longer for women than men. According to the U.S. Centers for Disease Control and Prevention, a girl born in 2005 is expected to live to age 80, compared to 75 for a boy. Therefore, there will be a higher proportion of women in this oldest age group and these women will be at a much higher risk for developing AD dementia. 3) Cardiovascular risk factors have been associated with increased likelihood of developing dementia and AD. Recent studies are showing that more women than men struggle with some cardiovascular risk factors, such as obesity, diabetes and hypertension (HTN). For example, the prevalence of HTN is greater in men than in women until age 60, but after age 60, it becomes higher in women. In addition, diabetes, which is increasing in frequency in women compared to men, has been associated with poorer cognitive function and greater decline in those over 65 making women more vulnerable to the development dementia. 4) The debate continues regarding hormone replacement therapy (estrogen) for the prevention of AD dementia. Some studies have found that women who used estrogen hormone therapy before the age of 65 could cut their risk of developing dementia or AD dementia, whereas other studies have suggested that hormone replacement therapy can increase a person’s risk of developing dementia. At this point, most researchers do not believe that there is enough evidence to warrant prescribing estrogen for the prevention of dementia. 5) And last but not least, we must consider “genes.” A recent study showed that a gene variant on the X chromosome may be related to an increased risk of developing AD dementia. Indeed, both women and men with one variant of the gene were at risk, however interestingly, the risk was more pronounced in women with the variant on both X chromosomes. This study is intriguing and more studies are needed to determine just how “big of a risk” it is to have this variant. Kearney PM, Whelton M, Reynolds N et al. Global burden of hypertension: analysis of worldwide data. Lancet 2005; 365(9455):217-23. Sowers, JR. Diabetes in elderly and in women: cardiovascular risks. Cardiol Clin 2004; 22:541-51. 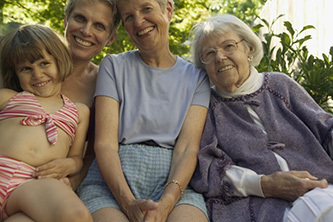 Henderson V Aging, estrogens, and episodic memory in women. Cogn Behav Neurol. 2009 Dec; 22(4):205-14. Crrasquillo MM, Zou F, Pankratz VS et al. Genetic variation in PCDH11X is associated with susceptibility to late-onset Alzheimer’s disease Nat Genet. 2009 Feb;41(2):192-8.